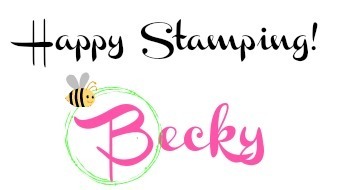 Available beginning today, Stampin' Up! 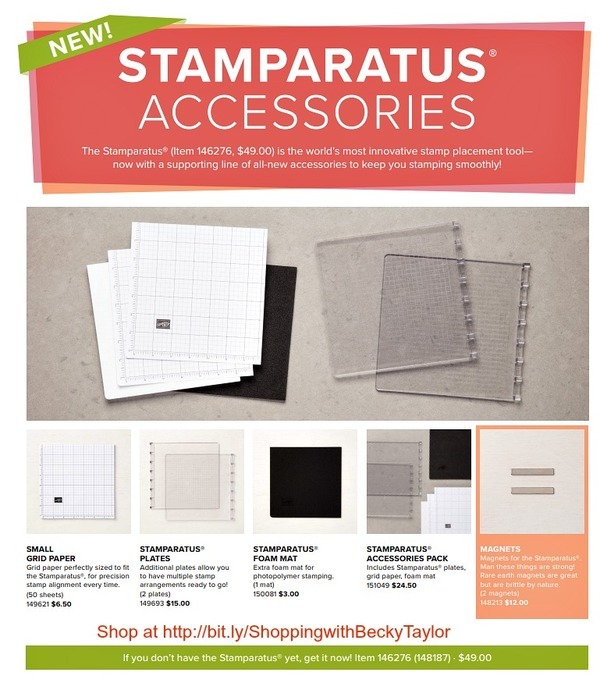 is offering new accessories for your Stamparatus®! You can now purchase grid paper to use on your platform and keep the surface clean. So stamp away and then just throw away the paper! Extra plates are also available--now even more surfaces to make your stamping easier! Get an extra foam mat. You can purchase these separately or get them together in a bundle. I had created my own grid paper by cutting up my large sheets of grid paper but, wow is this easier! Extra magnets are also available (Make sure you cover your magnets--I used heavy-duty glitter washi tape--and use only one at a time so that they don't attract and break). Don't have a stamparatus yet? 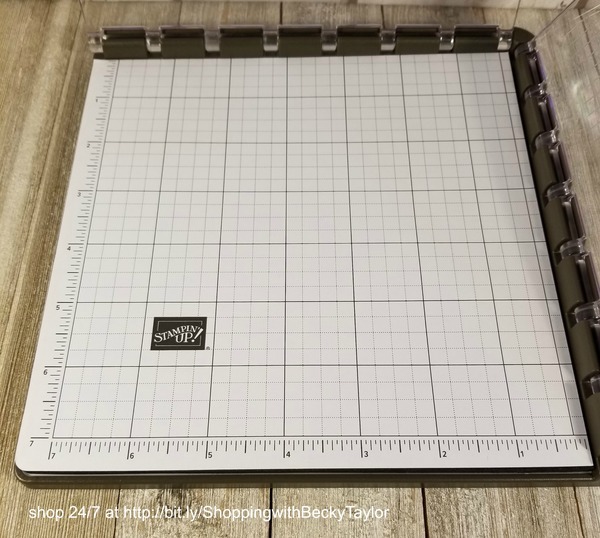 You can purchase one here and make your stamping life so much easier!